So now at the completion of the group stage, we were down to the last 16 teams. There was a one day rest between the final group game in Group G, and the start of the knockout stage. After having two weeks of relentless football, the intermission seemed to take a lifetime. The first last 16 game, saw Group C winners France, play Group D runners up Argentina. France’s Antoine Griezmann slammed the crossbar with an early free kick. France were then awarded a penalty. A devastating burst of pace from Kylian Mbappe saw him get from the centre circle to Argentina’s penalty area in the blink of an eye, before Marcos Rojo hauled him down. Griezmann calmly put the penalty away for 1-0. Argentina, responded with one of the best strikes of the World Cup, as Angel Di Maria scored a scorching left foot shot from almost 30 yards out. Argentina went in front at the start of the second half when Lionel Messi’s shot hit Gabriel Mercado and went in. Di Maria’s wonder goal was to be upstaged for France’s equaliser, as defender Benjamin Pavard scored arguably the sweetest hit volley you will ever see from the edge of the box. The technique was just perfect. Argentina were rattled after that, and Mbappe scored two goals to make it 4-2 to France and essentially kill off the tie. The first, the keeper should have done better, the second Argentina were exposed for defensively keeping a high line as Mbappe’s pace again was too hot to handle, this took Mbappe’s World Cup tally to 3. An injury time header from Sergio Aguero made it 4-3, but France hung on and would play the winner of the evening game. In the evening, Group A winners Uruguay, were pitted against Group B runners up Portugal. Uruguay came out of the blocks the quickest and took the lead. Edinson Cavani, on the right hand side of the pitch found his strike partner Luis Suarez wide on the left. Suarez pulled out a lovely ball back in to Cavani in the box, and he headed Uruguay in front, (I say headed the ball, it seemed to come off of his nose), regardless, it was a terrific goal. Portugal keeper Rui Patrico got down well to keep out a Luis Suarez free kick and Uruguay looked quite comfortable for the rest of the half. Come the second half, Portugal looked livelier, and they levelled things up through a header from Pepe. This was the first goal Uruguay’s rock solid defence had conceded in this World Cup. Uruguay was to bounce back however, and Cavani scored his second goal with a beautifully placed curling shot past Patricio. 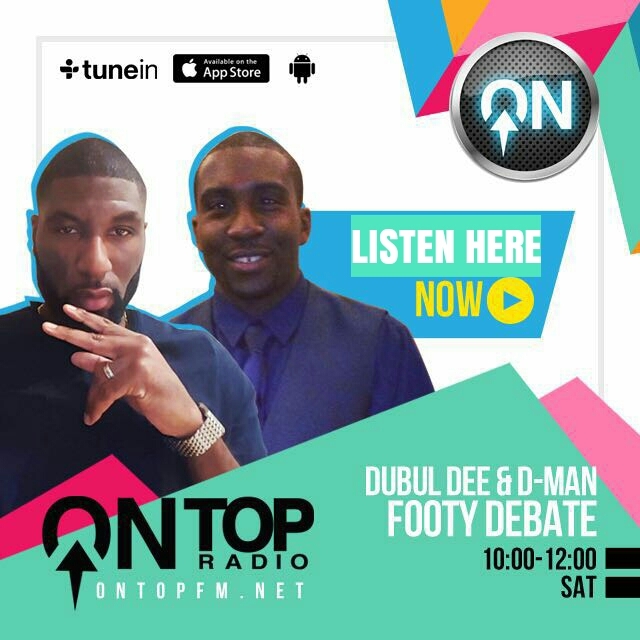 Portugal had a late chance to level things up, but Manchester City’s Bernardo Silva could only shoot over as Fernando Muslera in the Uruguay goal fumbled a ball in. It stayed 2-1 to Uruguay who will meet France in the first quarter final. Group B winners Spain, met Group A runners up, the hosts Russia in the afternoon encounter. Spain coach Fernando Hierro surprisingly left Andres Iniesta on the bench. An own goal by Russian defender Sergei Ignashevich gave Spain the lead. 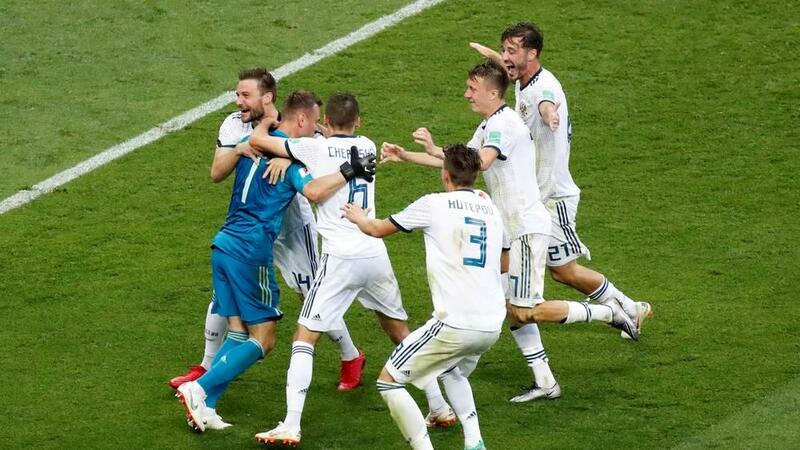 Ignashevich had been holding Sergio Ramos while the goal went in off him and would have conceded a penalty regardless. Russia were literally ‘handed’ a way back into the game; Gerard Pique stupidly handed the ball from a corner and Artem Dzyuba scored his 3rd World Cup goal from the resulting penalty to make it 1-1. Spain controlled possession for the rest of the game without penetrating the Russian defence as much as they would have liked. Russia keeper Igor Akinfeev, did make a fine stop late on from Iniesta however and the game went to extra time. Spain had a penalty appeal turned down after VAR had informed the referee to have a look again. The appeal had come from Sergio Ramos being bundled over, the ref assumed there had not been enough contact so did not give the penalty, but the real foul had been on Pique. Spain were right to feel aggrieved. So, it went to penalties, Koke and Iago Aspas both missed for Spain, and the hosts pulled off a huge upset, winning 4-3 in the shootout. Akinfeev the hero saving Aspas’ penalty. The second match saw Group D winners Croatia, go head to head with Group C runners up Denmark. This game started as if it was going to be the best one the tournament had seen with two quickfire goals. Huddersfield’s Martin Jorgensen (Zanka) gave Denmark the lead in the first minute, with a scrappy goal after a mêlée in the penalty area. Another disjointed goal drew Croatia level through Mario Mandzukic, who netted after the ball hit two Danish players. After the frantic start the game fizzled out, the score stayed 1-1 and it headed to extra time. As the game was heading for the second penalty shootout of the day, Luka Modric played a magnificent through ball for Ante Rebic. Rebic rounded Danish keeper Leicester’s Kasper Schmeichel and was just about to put the ball into a gaping goal when Jorgensen upended him. Jorgensen was not sent off for the foul and only God knows why. Schmeichel, went on to save what was a poor penalty by Modric, so, we had ourselves another penalty shootout. With both keepers in inspired form, both teams only scored two of their first four spot kicks. Croatian keeper Danijel Subasic then saved Nicolai Jorgensen’s penalty and Ivan Rakitic scored to put Croatia through 3-2 on penalties. Croatia would now meet Russia in the quarter finals. Group E winners Brazil faced off with Group F runners up Mexico. A rather average first half, saw Brazil looking more threatening, as Neymar and Manchester City’s Gabriel Jesus drew decent saves from Mexico stopper Guillermo Ochoa. Neymar turned on the style in the second half, which was a nice change as he had spent more of the competition rolling around on the ground thus far. Neymar, made a good run before he found Willian with a smart backheel; Willian played the ball into the box and Neymar got on the end of it to give Brazil the lead. With Messi and Cristiano Ronaldo both out of the Cup, this was a highlight we had been patiently waiting for from Neymar. Neymar, then turned provider for the second goal, as he raced through Mexico’s defence, and squared the ball for substitute Liverpool’s Roberto Firmino, to score an easy tap-in at the end and it finished 2-0. Mexico just seemed to have lost that verve from earlier in the tournament and did not put up as stiff competition as what was expected. Belgium, the Group G winners, squared off with Group H runners up Japan in the latter match. Japan, were clearly not going to roll over for the Belgians and looked the better team in a goalless first half. Japan, took the lead to start the second half through midfielder Genki Haraguchi, who expertly finished after a lovely pass from Gaku Shibasaki. Japan, furthered their lead with a powerful drive from Takashi Inui, from outside the area. Belgium, however, were to fight back, first Tottenham’s Jan Vertonghen looped a header back into a dangerous area and it went in the net. Belgian substitute, Manchester United’s Marouane Fellaini headed in the equaliser after good work by Eden Hazard. The game looked set for extra time, when in the fifth minute of injury time, Chelsea’s keeper Thibaut Coutois rolled the ball out to Kevin De Bruyne, who must have ran at least 50-60 metres with the ball. Then De Bruyne fed Thomas Meunier, who played the ball into the box, Romelu Lukaku wisely dummied the ball and Nacer Chadli slid in the winning goal. This was a breathtaking sequence, one that only football can supply. Belgium’s 3-2 triumph booked them a quarter final date with Brazil (you know the country England wanted to avoid!). Group F winners Sweden played Group E runners up Switzerland to start the day’s proceedings. In not the most entertaining match you will see, Sweden were the better side, but were wasteful. Switzerland keeper Yann Sommer made a good low one handed save from Sweden’s Marcus Berg, and Albin Ekdal put a golden opportunity into row Z from just outside the six yard box. Sweden kept the pressure on in the second half, and took the lead when Arsenal’s Granit Xhaka, inexplicably let Sweden’s Emil Forsberg control the ball and score with a scuffed effort that deflected in off of Swiss defender Manuel Akanji. Xhaka’s attempt, if you can call it that, was just pathetic, he looked more like he was trying to bend down to tie his laces than properly trying to close down Forsberg. Switzerland almost found their way back into the game with a Johan Djourou header that was cleared off the line. There was then late drama, as Swiss defender Michael Lang was sent off for bringing down Sweden’s Martin Olsson (Swansea), and the referee gave a penalty. VAR got the referee to take another look and a free kick was given instead, it was saved and it finished 1-0 to Sweden. In the final game of the last 16, Group H winners Colombia, were up against Group G runners up England. Colombia were missing their talisman James Rodriguez and it showed in their performance, as they had no creativity and no ideas. The South Americans resorted to dirty and underlying tactics to try and rattle England. For how bad Colombia were in the first half, England only really had a Harry Kane header that went over to show for their superiority. In the second half, the theme of the World Cup had been for opposing teams to wrestle Kane at corners, Carlos Sanchez continued this and was punished. Kane picked himself up and dispatched the penalty for his sixth World Cup goal, surely no one was going to catch him for the Golden Boot now? England were nearing the quarter final when in injury time, Colombia’s substitute Mateus Uribe hit a speculative volley from at least 35 yards and Jordan Pickford made a remarkable save. Then after we saw the replay showed the shot was probably just creeping wide, and from the resulting corner Yerry Mina headed Colombia level. Heartbreak. It was Mina’s 3rd headed goal of the World Cup and I’m sure if a brick was coming towards him, then he would probably header that too. In extra time Danny Rose went close for England with a cross shot, but it remained 1-1. So we went to penalties. England’s Jordan Pickford would be the hero as he saved Carlos Bacca’s penalty. Tottenham’s Eric Dier would then score the vital penalty, which put England through 4-3. England’s first ever penalty shootout win at a World Cup setting up a quarter final with Sweden. Scenes! After a two day interval, the World Cup resumed for the quarter finals. The first meeting was between Uruguay and France. Uruguay’s Cavani who had been so important, was out with a calf injury and was replaced by Cristhian Stuani. 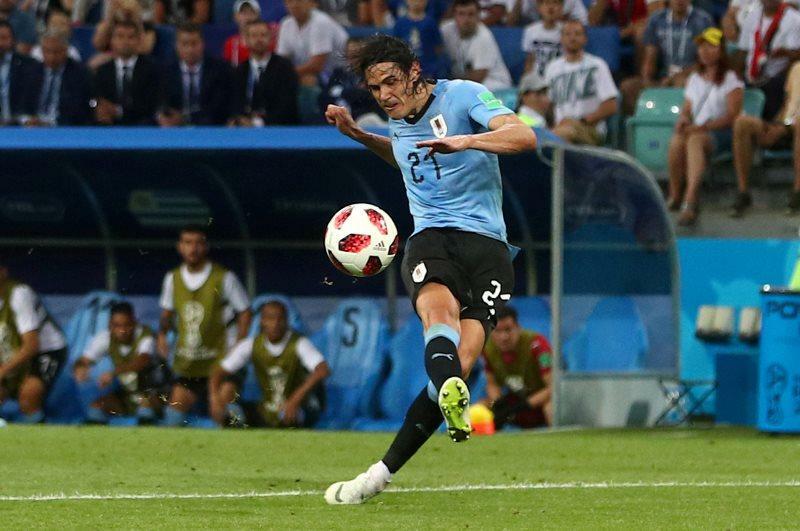 Cavani’s absence showed in Uruguay’s play, as they struggled to cause France problems without his movement, France, were therefore able to isolate Luis Suarez and they took the lead just before halftime. France were awarded a free kick and Griezmann intentionally hesitated during his run up; Griezmann’s well flighted ball was headed in by Raphael Varane, who delayed his run to perfection. Uruguay clearly undone by something France cooked up on the training ground. Uruguay were denied almost an immediate response as Tottenham’s Hugo Lloris made a stunning save from Martin Caceres’ header. France doubled their lead in the second half, when a long range effort by Griezmann was misjudged by Uruguay’s keeper Muslera and the ball went in off him as it looked like he tried to punch it away. Muslera had unfortunately lost his Grandmother and Uncle before the game, and that would explain his dip in concentration. The game would remain 2-0 and France would meet the winner of the Brazil and Belgium tie. Brazil and Belgium, clashed in the second game of the day. Brazil’s Thiago Silva hit the woodwork as he tried to help in a Miranda flick on from a corner. It was Belgium who took the lead nonetheless, as Fernandinho turned the ball into his own net from a corner. Belgium looked in buoyant mood, and on a quick break furthered their lead. Lukaku, whose movement had been causing all kinds of problems, went on a good run showing his pace, strength and some tidy footwork, he passed it to De Bruyne, who lashed a stinging drive into the corner past Brazilian keeper Alisson. Marcelo really should have made a better attempt to try and block it than dangling a leg at the ball. Brazil were shell-shocked. Coutinho forced a decent save out of Courtois in the first half, otherwise his play had been predictable, in the second half however, he stepped up with a great pass for Brazil to pull a goal back. Substitute Renato Augusto got on the end of a scooped pass from Coutinho; 2-1, game on! Courtois, made a fine stop to deny Neymar after, and then Brazil were not given a blatant penalty when Gabriel Jesus had been taken out by Vincent Kompany’s follow through after Kompany missed the ball. The Brazilians had every right to be bitter, but Belgium was the better side overall and advanced with the 2-1 win and would play France in the semi finals. Sweden and England locked horns in the third quarter final. England looked up for the test and Kane drove a shot just wide. Harry Maguire gave England the lead with a towering header on half an hour. Jordan Henderson then played one of the passes of the tournament over the top of Sweden’s defence for Raheem Sterling, but he was not able to score despite having two bites at the cherry. After the break, Sweden improved, as manager Jan Andersson must have had some stern words for them at half time, striker Marcus Berg’s header was saved by Pickford. Sweden went to sleep just before the hour, and Jesse Lingard’s cross was headed in by Dele Alli to make it to 2-0 to England. Pickford, had to make a great double save to keep Viktor Claesson at bay, and then later on Pickford also tipped a Berg shot over the bar. 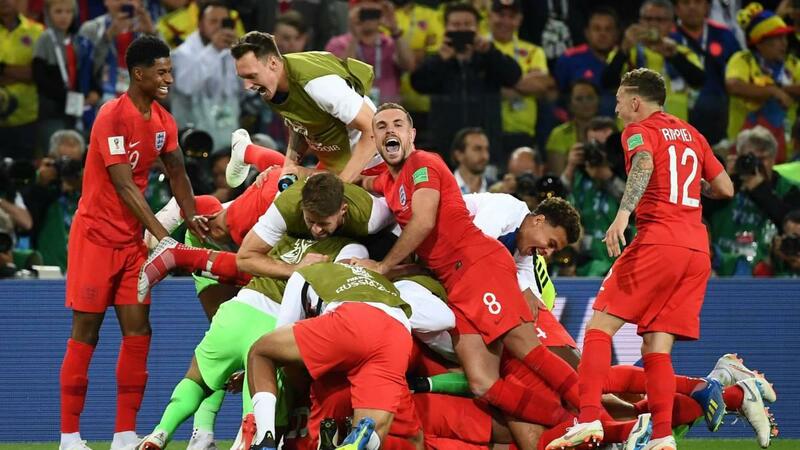 Sweden then seemed to become weary and England hung on to their 2-0 advantage, to reach the semi finals for the first time since 1990. The commentators kept on speaking on how comfortable the game was for England, but Pickford ended up being man of the match, so make of that what you will. What mattered though was that they had managed to get through. Was football actually going to come home? The last quarter final, saw the hosts Russia battle Croatia. Russia took the lead, after a one two between Denis Cheryshev and Dzyuba, before Cheryshev fired another cracking goal, his fourth of the competition. No one was quite sure why keeper Subasic, was so far off his line, but nevertheless the quality of the strike was not to be denied. Russia’s lead had not even lasted 10 minutes, when Mandzukic waltz through and crossed for Andrej Kramaric to put Croatia level. In the second half, Ivan Perisic hit the inside of the post for Croatia. The 90 minutes ended 1-1, making this the only quarter final to go to extra time. Subasic, had pulled up twice with what looked like cramp in the Croatia goal and because of this they were trying to avoid a penalty shootout. Things looked good for the Croats, when centre back Domagoj Vida headed them in front. Croatia thought they were through when Mario Fernandes’ header drew Russia level; taking it to penalties. Subasic made a miraculous recovery and saved a penalty, and Fernandes the extra time hero also missed one for Russia. Ivan Rakitic just like he did against Denmark, scored the winning penalty for Croatia and they advanced 4-3 on spot kicks, and would meet England in the semi finals. There were two more agonising days without football, before the semi finals started with France and Belgium. Belgium almost took the lead when Hazard’s shot, which was destined for the top corner took a deflection just over, the ball really could have ended up anywhere. Lloris made a good save to deny De Bruyne, and at the other end, Courtois saved well with his legs when Pavard got in behind Belgium’s defence. 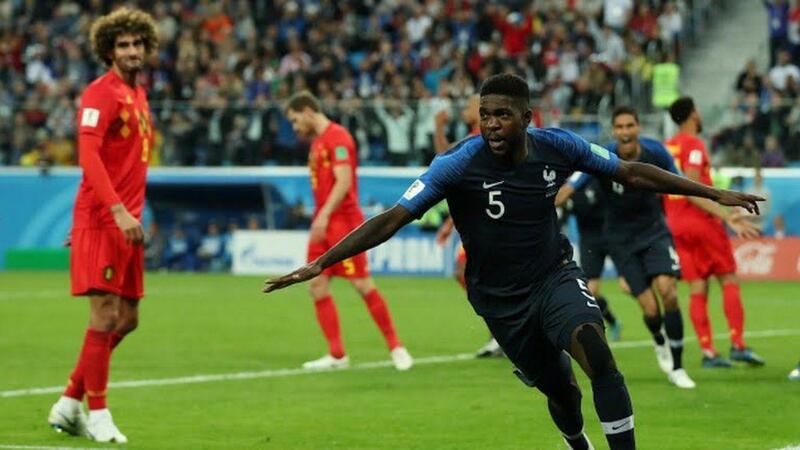 In the second half, Kompany blocked a shot from Olivier Giroud and from the resulting corner, Samuel Umtiti headed France into the lead. France almost added to their lead when a good team move saw Mbappe backheel the ball to Giroud, but his shot was again blocked; this time by Tottenham’s Moussa Dembele. The game was getting stretched and Lloris was called into action once again, turning away a good drive by Axel Witsel from outside the box. Towards the end of the game, France substitute midfielder Corentin Tolisso could have put the game beyond doubt, but Courtois turned the ball wide. France were to hang on to their 1-0 lead and reach the final for the first time since 2006. Belgium needed just that little more from the likes of Lukaku and De Bruyne, and came up short. The Frenchmen, who had been so professional throughout the World Cup, unfortunately resorted to playacting and time wasting (mainly Mbappe and Paul Pogba) in injury time and went unpunished as no further time was added on by the officials. So whom would France meet? Croatia and England, contested the other semi final. England started the better of the two sides and took the lead from Kieran Trippier’s free kick after Alli was bowled over. Trippier’s effort curled delightfully over the wall and in, the dream start for England. England continued their first half dominance and Kane was denied by an outstanding double save by Subasic. The replay showed that the second effort, which hit the post, Subasic had saved it with his legs, in normal time it looked like a terrible Kane miss, but Subasic deserves full credit for his part. The replay also showed that Kane could have slipped in Sterling for what would have been an easier chance, but he opted to shoot like most others would have. As good as England were in the first half, Croatia were as good for most of the second period, they drew level when Kyle Walker was caught napping, and Perisic got on the end of a Sime Vrsaljko cross. Perisic almost helped himself to a brace, when his shot hit the inside of the post after he turned Walker. So at 1-1, the contest headed to extra time, where the game could have gone either way. John Stones had a header cleared off the line for England and Pickford did well coming off his line to deny Mandzukic when he got on the end of a cross. Croatia, would steal the win however; Perisic won a header and the ball fell in the box, Walker was caught basically…sleepwalking, letting the ball bounce and Stones was ball watching too as Mandzukic rammed in a left foot half volley to win it 2-1 for Croatia. Football was sadly not coming home; England had nonetheless done the country proud getting this far. It was to be though, little Croatia, a country with a population of just over 4 million who would play France for the big prize. Beaten semi finalists, Belgium and England, played in the game no one wants to compete in; the 3rd place playoff. Belgium named almost a full strength line-up whereas England made five notable changes, these were mainly in midfield and this showed from the start. 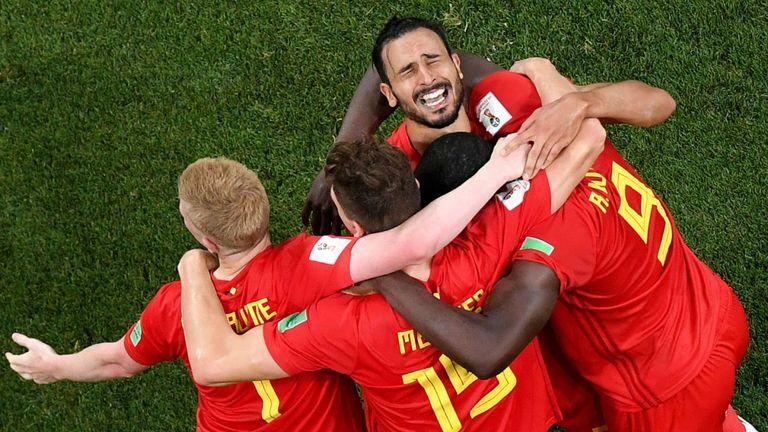 Belgium smelt blood and took the lead after just four minutes; Lukaku found Chadli, whose cross was well finished by Meunier. Later on, Kane drove wide after being put in by Sterling. Belgium, almost got a second first half goal through Toby Alderweireld, but he shot over. England had been dominated for much of the game, but Eric Dier almost pulled them level with a little dink over Courtois, that was cleared off the line by his Tottenham teammate Alderweireld. Belgium then almost scored what would have been the team goal of the tournament. It started, when Vertonghen found Hazard, who flicked it to Dries Mertens; Mertens exchanged passes with De Bruyne to the edge of the 16 yard box, and then Mertens played it to Meunier, whose volley was saved by Pickford, quite scintillating stuff. Later in the game, De Bruyne fed Hazard and he showed good strength and balance before a composed finish for the second and Belgium won 2-0 to finish third. England at times just looked like they wanted to go home. As usual, before the final, we had the closing ceremony. The ceremony like the opening of the tournament was a short event. There was lots of dancing, colours and add to that a virtual display showing highlights from the competition. The musical contribution came from Nicky Jam and Era Istrefi, later on they were joined on stage by the legend that is Will Smith, not really my kind of music to party to if I’m honest, but it was upbeat and lively for what it was. So here we had it; France against Croatia for all the glory. Croatia started the better of the two sides pinning France back on a couple of occasions; despite this it was France who took the lead. A contentious free kick was awarded as Griezmann went down easily, Griezmann took the free kick and Mandzukic headed into his own goal. Croatia drew level, when Perisic controlled the ball and expertly hit a left footed volley that Lloris had no chance with. Then a huge moment of controversy came, Griezmann’s ball in came off Blaise Matuidi and then hit Perisic’s hand. After VAR got the referee to review it, a penalty was awarded. Given how close Matuidi was to Perisic, it was a harsh decision, which looked much worse than it was in slow motion. Griezmann sent Subasic the wrong way with the spot kick to make it 2-1 to France. Croatia still persisted to take the game to France and this continued into the second half. France nonetheless increased their advantage just short of the hour. Pogba played a sublime volleyed pass to Mbappe, who found Griezmann; Griezmann turned and found Pogba, whose first attempt was blocked, but then he fired a left foot past Subasic for 3-1. France were not done, it was like they had been playing possum in the first half and were conserving energy so they could hit Croatia where it hurts as the game opened up. They were to go 4-1 up, when Mbappe drove a shot into the corner from outside the box, as Croatia had no answer for the pace France were breaking at. Mbappe became the first teenager to score in a World Cup final since the great Pele. Lloris gifted Croatia a second goal when he played around with the ball at his feet and Mandzukic scored at the right end, as his tackle went straight into the net. 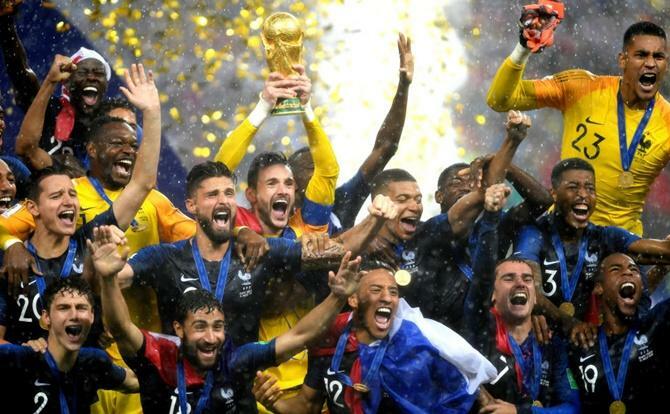 The game remained 4-2 giving France their second World Cup and their first in a foreign country. France manager Didier Deschamps, became only the third man to win the World Cup as a player and as a manager. France were not the most entertaining over the duration of the tournament, but one thing they were was organised. They had the best game management throughout and the final embodied the mentality of the team. They never panicked when Croatia had them pinned back in their own half, and were worthy winners. Despite falling short Croatia can be very proud of getting to the final, if the decisions had gone their way in the first half, who knows what may have been.